^ Acayan, Ezra (5 August 2011). "Elite Football League of India launched - Mumbai". Demotix.com. Retrieved 6 October 2013. ^ "American football is coming to India | ProFootballTalk". Profootballtalk.nbcsports.com. 3 August 2011. Retrieved 2 December 2011. ^ "Gridiron league launched in India". Timesofindia.indiatimes.com. 5 August 2011. Retrieved 2 December 2011. ^ George, John (3 August 2011). "Ron Jaworski is investor in new India football league - Philadelphia Business Journal". Bizjournals.com. Retrieved 2 December 2011. ^ "American Football in India?". Inquisitr.com. 3 August 2011. Retrieved 2 December 2011. ^ Daniel, Kaplan (25 January 2012). "Kurt Warner, Mark Wahlberg investing in new Indian football league". Bizjournals.com. Retrieved 29 January 2012. ^ a b c Ivie, Eric R. "NFL stars taking American football overseas: A fan's perspective - NFL - Yahoo! Sports". Sports.yahoo.com. Retrieved 2 December 2011. ^ "'They Need TV Product': Why American Football Is Coming To India". Newsfeed.time.com. 4 August 2011. Retrieved 2 December 2011. ^ "Money scores, American football lures Indian rugby players". Indian Express. 18 July 2011. Retrieved 2 December 2011. ^ "Now, EFL wants to take India by storm - Times Of India". Timesofindia.indiatimes.com. 6 August 2011. Retrieved 2 December 2011. ^ a b 5 August 2011 Mumbai IANS (5 August 2011). "American football comes to India". Deccan Chronicle. Retrieved 2 December 2011. ^ "Coming soon: American football in cricket-crazy India". Firstpost. 1 April 2012. Retrieved 6 October 2013. ^ "Birth of a Sport: American Football in India and Pakistan by Evan Rosenfeld — Kickstarter". Kck.st. Retrieved 6 October 2013. The 2012 Elite Football League of India season or 2012 EFLI season was the debut season of Elite Football League of India and began on 22 September 2012. Eight franchises contested for the Elite Bowl, among whom five located in India, two in Sri Lanka and one in Pakistan. The Pune Marathas claimed the title after defeating Delhi Defenders 6–0 in the Elite Bowl I on 10 November 2012 and became the first ever champions of an Elite Bowl. The Bangalore Warhawks are a professional American football team based in Bangalore, India. The Warhawks are one of the first eight franchises of the Elite Football League of India (EFLI) and compete in its inaugural season in 2012 as a member of the West Division, where they finished as semi-finalists. The team was originally slated to play in Bhubaneshwar, but officials have since moved the franchise. The team is owned by Buffalo Bills player Mario Williams. The Colombo Lions are a professional American football team based in Colombo, Sri Lanka. The Lions are one of the first eight franchises of the Elite Football League of India (EFLI) and compete in its inaugural season in 2012 as a member of the East Division, where they finished as semi-finalists. The Colombo Lions play at 25,000 capacity Sugathadasa Stadium. The team is led by Dilroy Fernando, a one-time rugby union player and COO of EFLI's Sri Lankan efforts. The team's management have selected their 45-man roster, formed a company for operations and expect that the salaries paid to players will surpass that of Sri Lankan rugby players while rivaling contracts offered by cricket teams. The Delhi Defenders are a professional American football team based in Delhi, India. The Defenders are one of the first eight franchises of the Elite Football League of India (EFLI) and compete in its inaugural season in 2012 as a member of the East Division, where they finished as runners-up after a successful qualifying for the Elite Bowl I. 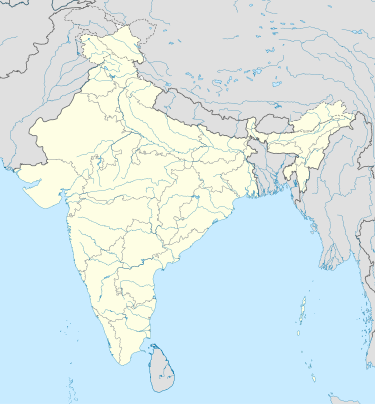 The Hyderabad Skykings were a professional American football team based in Hyderabad, India. They were members of the East Division in the Elite Football League of India (EFLI). Originally based in Kandy, Sri Lanka and called the Kandy Skykings, the team formally joined the EFLI in 2011 and began play in the 2012 season. The Kolkata Vipers are a professional American football team based in Kolkata, India. The Vipers are one of the first eight franchises of the Elite Football League of India (EFLI) and compete in its inaugural season in 2012 as a member of the East Division. The Lakshmi Narain College of Technology (abbreviated LNCTB or LNCT Bhopal) is a technology-oriented institute of higher education established by LNCT Group of Colleges. The Mumbai Gladiators are a professional American football team based in Mumbai, India. The Gladiators are one of the first eight franchises of the Elite Football League of India (EFLI) and compete in its inaugural season in 2012 as a member of the West Division. The team's debut match incidentally is the league's first match as well. The Gladiators began their season by playing against the Pune Marathas in November 2012. 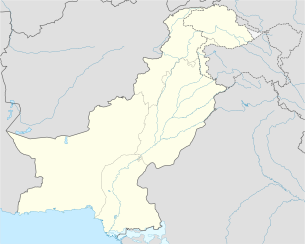 The Pakistan Wolfpak are a professional American football team based in Peshawar, Pakistan. The Wolfpaks are one of the first eight franchises of the Elite Football League of India (EFLI) and compete in its inaugural season in 2012 as a member of the West Division.It is also the first ever American football team in Pakistan. Poornima University is located in Jaipur, Rajasthan, India. The Pune Marathas are a professional American football team based in Pune, India. The Marathas are one of the first eight franchises of the Elite Football League of India (EFLI) and compete in its inaugural season in 2012 as a member of the West Division, where they became the first ever champions of an Elite Bowl. The training sessions was a five-week training camp led by former NFL player and Arena Football League coach Doug Plank.The team's debut match incidentally is the league's first match as well. The Marathas began their season by playing against the Mumbai Gladiators in November 2012. The Shree Chhatrapati Shivaji Sports Complex, Balewadi, Mahalunge, Pune is an Indian sports complex, which includes the Shree Shiv Chhatrapati Sports Complex Stadium. The complex is situated in Balewadi, Mahalunge Pune, about 14–15 km from Pune downtown and 4–5 km from Hinjawadi, Pune. This complex was the venue for the 2008 Commonwealth Youth Games.The sports complex is also venue for Khelo India Youth Games, 2019. Sports is an important part of the culture of Maharashtra. Kabaddi, Hockey, Kho kho, Badminton, Cricket and Table tennis are the popular sports of Maharashtra. The Sporting activities in Maharashtra are governed by the Commissionerate of Sports and Youth Servies, Pune. The wrestling championship like Hind Kesari, Maharashtra Kesari are very popular in the rural regions of Maharashtra. The cricket craze can be seen throughout Maharashtra, as it is the most widely followed and played sport. The Maharashtra has produced many Iconic cricketers to India like Sachin Tendulkar and Sunil Gavaskar. Children games include Gilli-danda and Pakada-pakadi (tag) are also played in Maharashtra.Horse riding, Wrestling, Fencing, Archery and Shooting were popular among the rulers of Maharashtra. Maharashtra has various domestic level Franchise based leagues for Hockey, Chess, Tennis and Badminton. Popular games and sports in Pune include athletics, cricket, basketball, badminton, field hockey, football, tennis, kabaddi, paragliding, kho-kho, rowing and chess. The Pune International Marathon is an annual marathon conducted in Pune. The 2008 Commonwealth Youth Games were held in Pune. Sugathadasa Stadium is a multi-purpose stadium in Colombo, Sri Lanka. It is currently used for football, rugby union, and athletics. The stadium holds 25,000 people and has an on-site hotel.